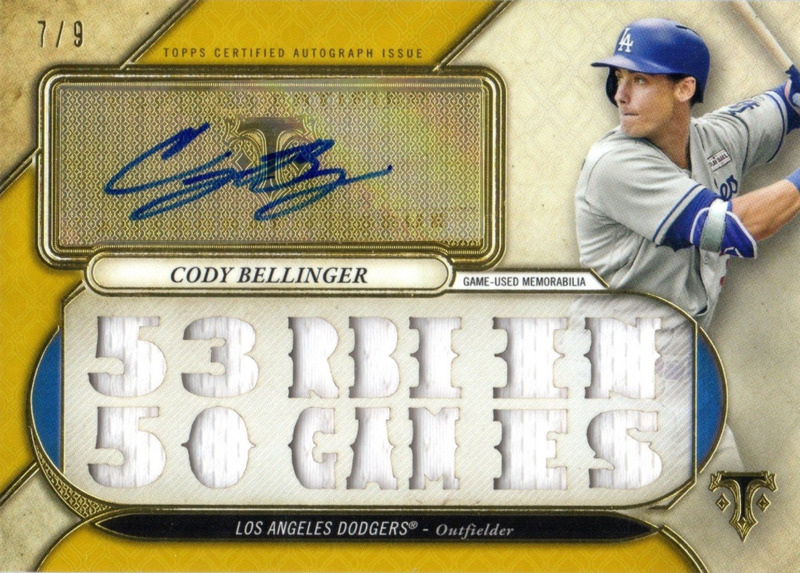 Now that you've seen the base cards, here are some of the inserts. I thought I would start with the cards that gives this brand their name. Featured directly below are both the relics and autographed relics that include cleverly spelled out phrases. 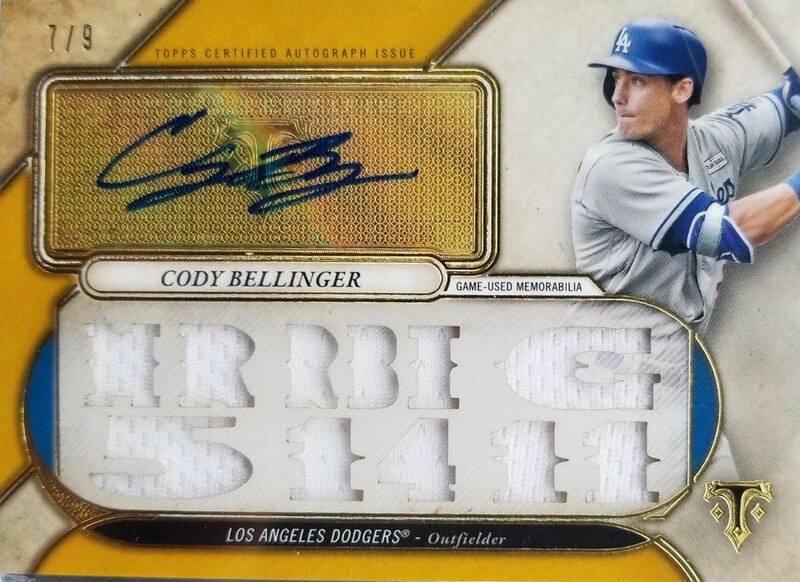 These cards have three relic pieces with cutouts that highlights a professional achievement or a nickname. Sometimes, though, they are kinda stupid. For instance, they gave Julio Urias a card that spells out, "October Kid" -- even though the young lad has mixed and minimal experience in the postseason. Last year he came out of the pen in the NLDS to pitch two scoreless innings against the Nationals. Then later on he started against the Cubs, but got shelled. 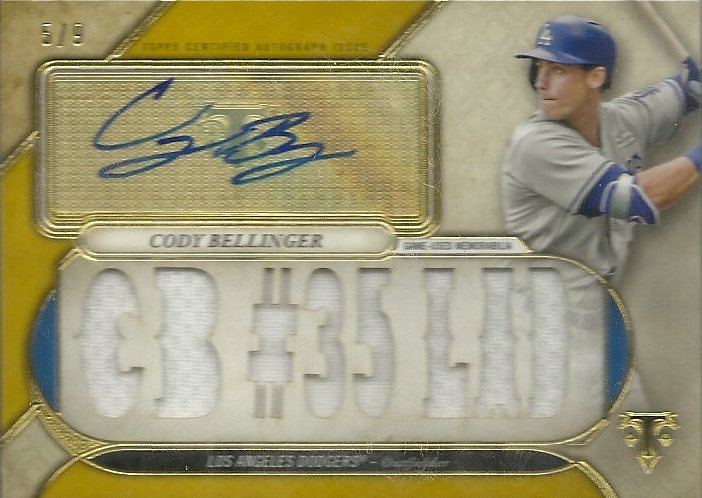 On another note, all Corey Seager autographed cards come with a redemption. Also, one of the five different Julio Urias Autographed Triple Relic cards come as a redemption -- which is weird. After nearly two months in Dodger Blue Yu Darvish has decided to finally publish his very first Dodgers video on YouTube. For those who don't know, starting this season Darvish opened a channel there, but hadn't been particularly active. While in Texas he put up only eleven videos -- mostly sharing his workout regimen as he prepared for the season. Now, he shares his very first Dodger video and it's awesome. 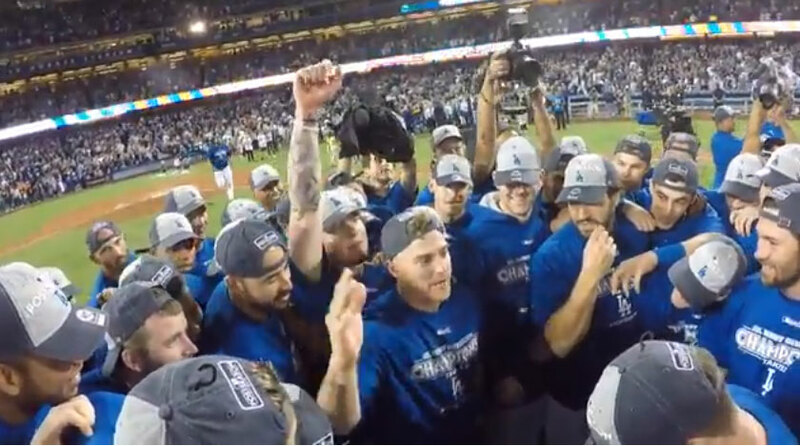 It features his perspective of the Dodgers clinching the division title this past weekend. Go ahead and watch the entire ten minutes below. BTW, be sure to watch the whole thing. At about the 8:30 mark Kiké Hernández gathers the crew together on the mound to provide some inspiration. "It's out of my control, but I expect to start," Wood said. "I've been pretty good all year. I think guys trust me with the ball in my hands, so we'll see what happens." 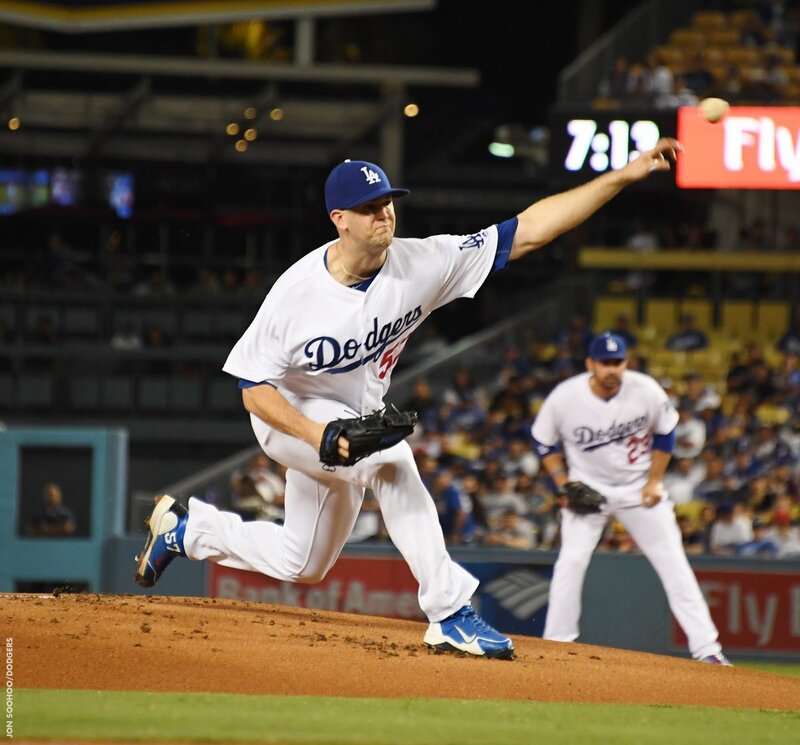 "He's definitely pitched well," Roberts said. "We're continuing to watch and find a way to win as many games as we can. We're still not prepared to make a decision (about playoff rotation)." This Day in Dodgers History: In 1936 future Dodgers Hall of Fame skipper Walter Alston played in his only Major League game. It was as an 24-year old first baseman for the Cardinals, and he got into the game as a late-inning substitution for Johnny Mize. He would commit an error on the field in two chances, and only get a single at-bat -- he struck out. In 1951 future basketball Hall of Famer Bill Sharman was on the bench for the Dodgers as a 25-year old prospect. On this day he would be thrown out of the game, along with 14 other teammates, for "bench-jockeying" after a close play at home. He would never get a chance to play a Major League game, and thus became the only player to be ejected from a game without ever appearing in one. In 1961 Sandy Koufax recorded seven strikeouts against the Phillies to set a new National League record for strikeouts in a season at 269. The mark was previously held by Giants hurler Christy Mathewson who set it in 1903 with 267 strikeouts. 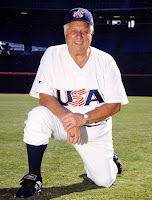 In 2000 the Team USA Baseball team, skippered by Tommy Lasorda, beat the overwhelming favorites Cubans ballclub to win the gold medal in the Olympics.